Heavy vehicle drivers are often required to work for long hours. To help drivers manage fatigue and comply with driving hours regulations (by providing an opportunity for sleep and rest breaks), heavy vehicle rest areas (HVRAs) may be provided. The successful operation of HVRAs depends on many factors. These include planning, design, construction and maintenance. 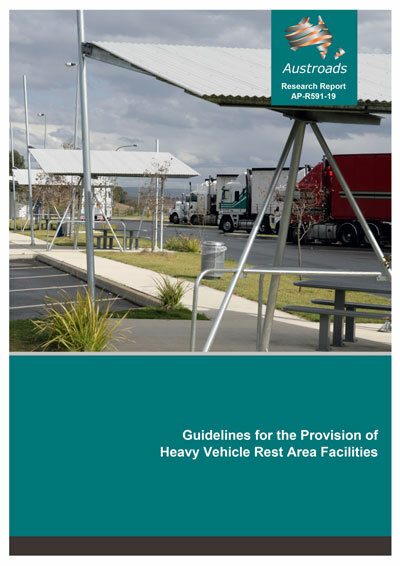 Austroads has recently released Guidelines for the Provision of Heavy Vehicle Rest Area Facilities to help road managers assess the need and prioritisation for HVRAs, as well as prompting consideration of planning and design issues. The Guidelines draw on and provide an update to the 2005 National Transport Commission Guidelines. They also incorporate guidance outlined in ‘A Proposed HVRA Needs and Prioritisation Methodology’, published by Austroads in 2012. The 2019 Guidelines supersede these two documents. This webinar will give you an overview of the Austroads Guidelines for the Provision of Heavy Vehicle Rest Area Facilities. tools used to communicate rest opportunities to drivers. This webinar will be particularly beneficial for road managers responsible for the HVRAs on the road network and to industry who may wish to have an understanding of the Guidelines. David Green is a Senior Professional Leader with the Future Transport Technology group at ARRB. He is a qualified civil engineer with over 17 years’ experience in the road and transport industry across road agency, private consultancy and research institutions. Mandi Mees is the Director of Productivity and Safety at the National Transport Commission. She leads reform projects to deliver improvements in the safety, productivity and efficiency of the road network.